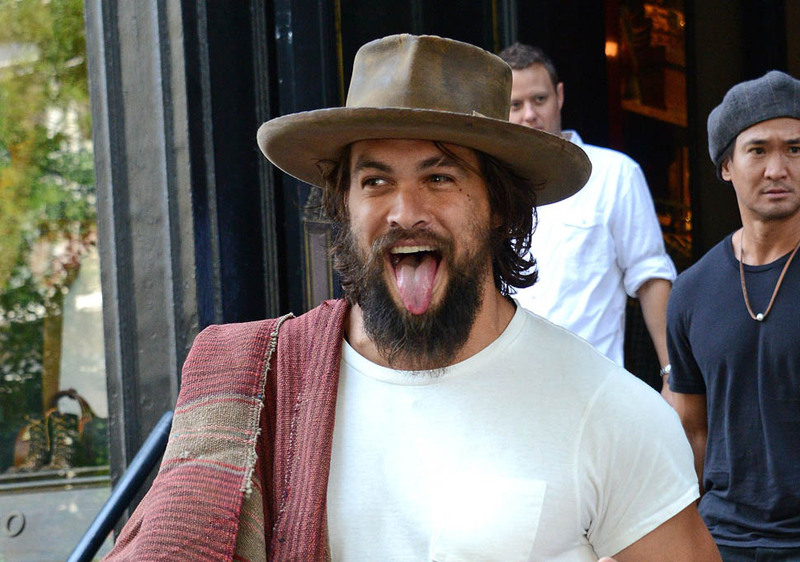 Normally a guy behaving like this, with the hat and the fingers and the tongue, I’d be skeeved. 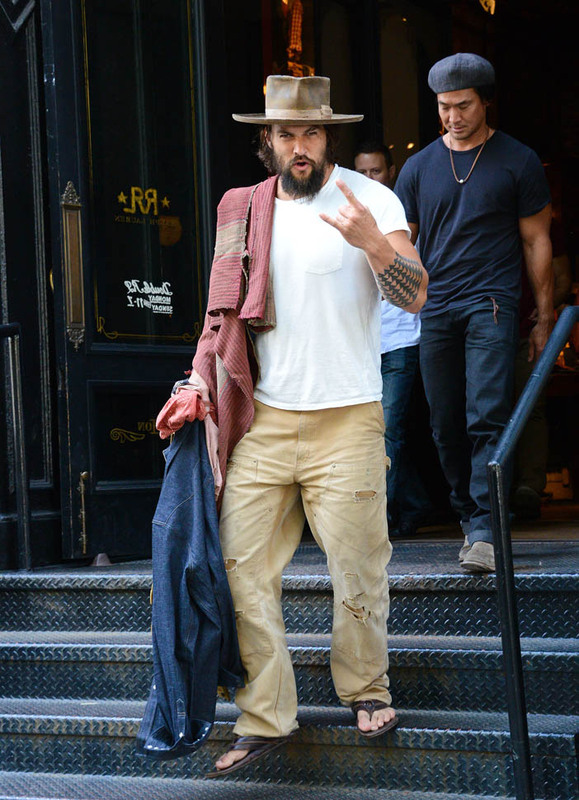 But…it’s Jason Momoa. 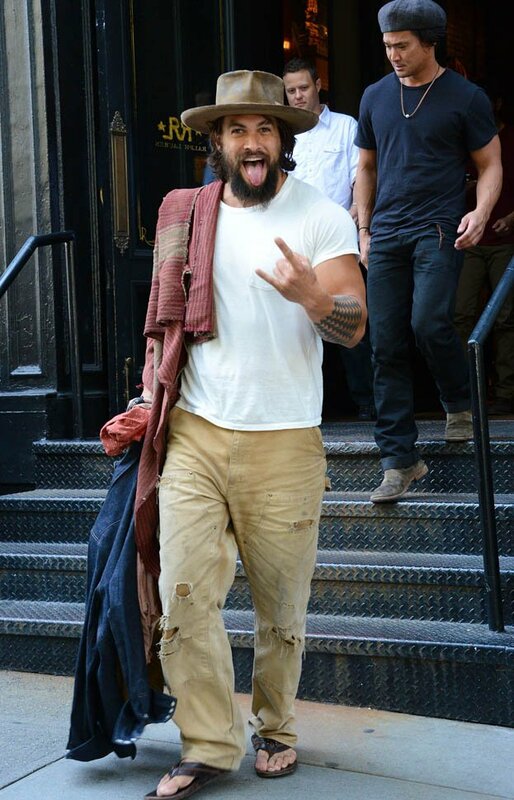 Actually it’s more Khal Drogo. 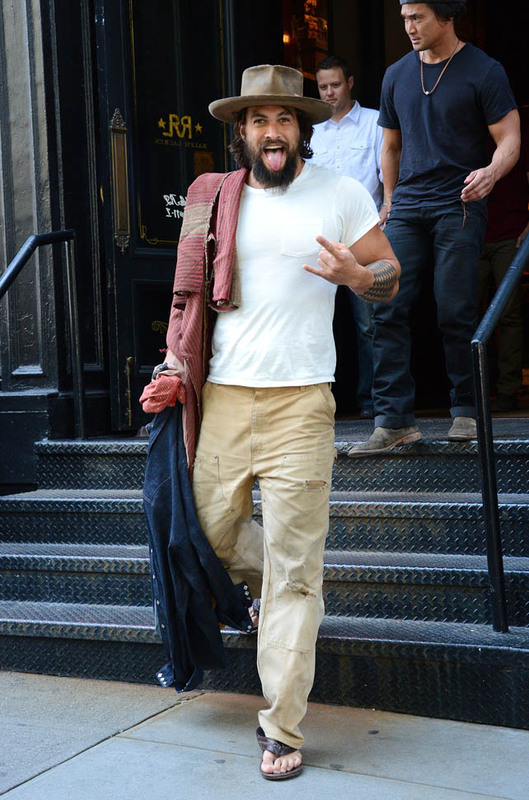 Like if Khal Drogo lived in 2014 New York City, don’t you think he’d be exiting like this? And that’s weird for me. Normally I’m not into the ragey roaring dudes. But as Laura just said backstage at The Social, “Oh yeah, you in your loin cloth, I’m in”. 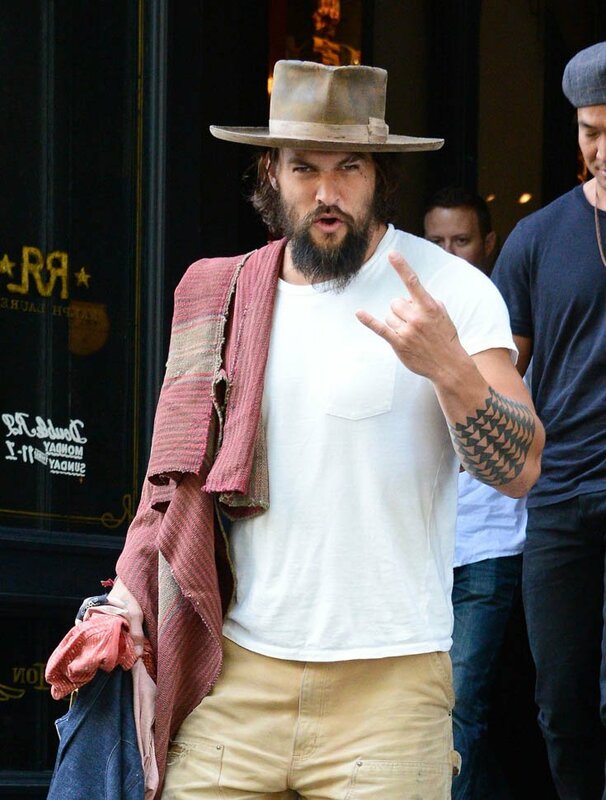 See, he doesn’t even need to be in the loin cloth. Ripped khakis are OK too. That’s some primal sh-t right there. 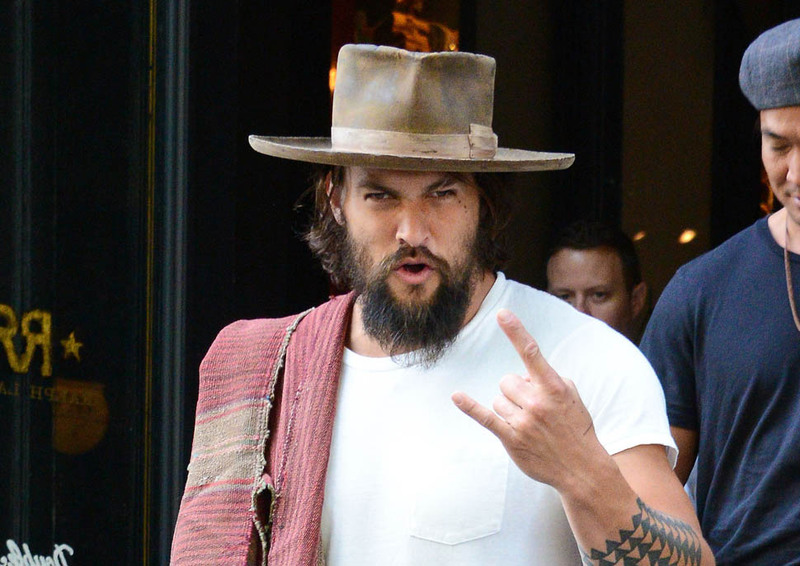 That’s a shot of Momoa with Lisa Bonet (Denise Huxtable FOR LIFE!) in his film Road To Paloma. He directed it, available on DVD July 15. Oh wait. 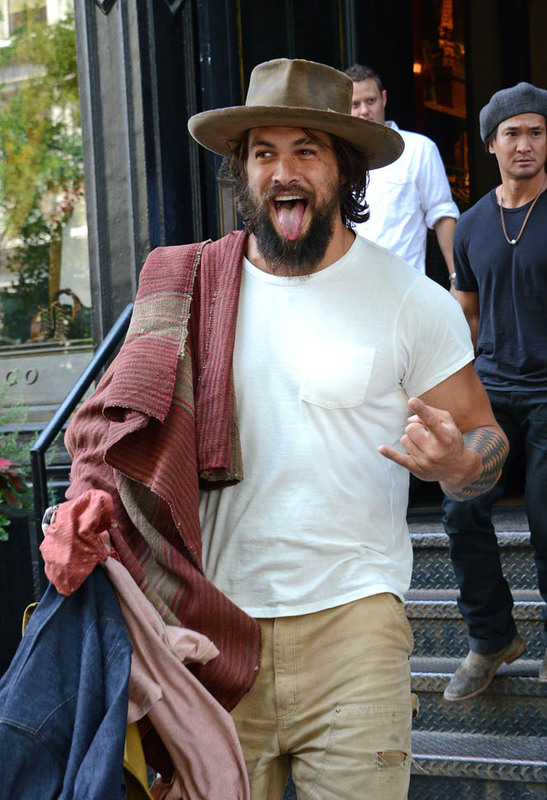 I just remembered he might be Aquaman. Yeah, no, doesn’t make a difference. Still potent.